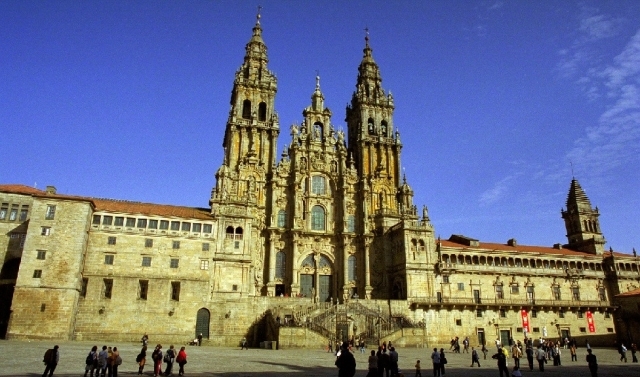 The strategy of macro-regional cooperation in the southwest of the European Union, known as the Macroregion Regions of Southwest Europe (RESOE), currently composed of the Principality of Asturias, the autonomous community of Castilla y Leon, northern and central Portugal, and the autonomous community of Galicia, has recently set a new goal of collaboration: the Camino de Santiago. Macroregion members of the European Regions Southwest recently held a meeting to coordinate in Valladolid, as usual town meeting points of these mentioned regions. The aim was to plan a major tourism development of the Camino de Santiago, promoting various aspects of the tourism offer together, also focusing on monuments and sites declared World Heritage by UNESCO. No conocía estas asociación de regiones, me parece curiosa. Sobre la noticia, cualquier cosa que sea para promocionar el Camino, bienvenida es.